The Lotus Alicia toe-thong sandal is a striking, feminine summer offering that will turn heads. Floral embellishments that are finished with sparkling diamantes link the toe-thong with the wide elasticated strap. 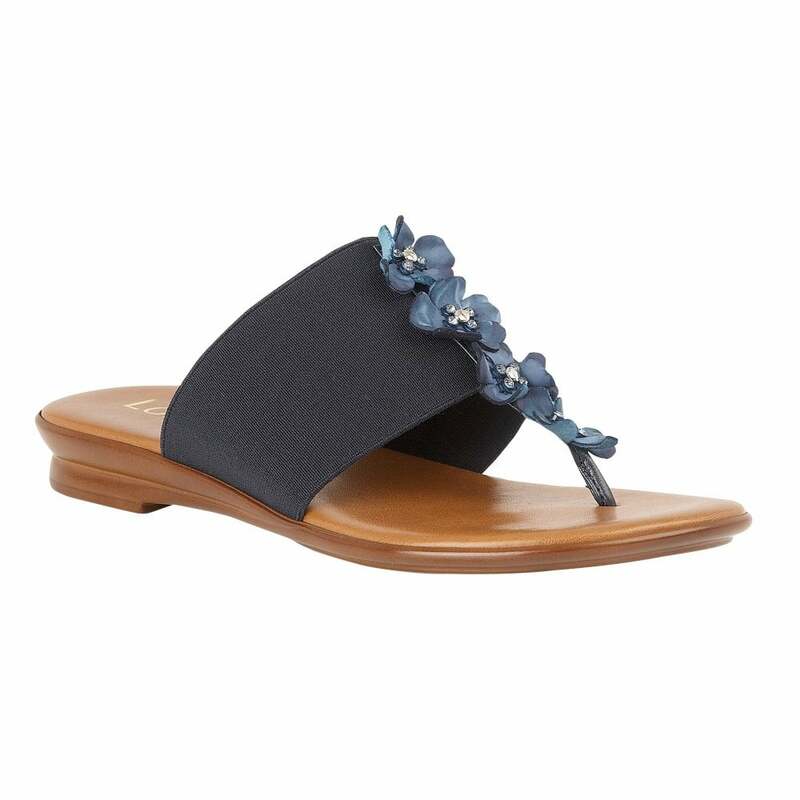 Slip-on these almost flat, Lotus ladies’ navy sandals for a fresh summer look.